Iggy Azalea is doing it all. The Australian-American rapper just finished touring with Rita Ora on Rita's UK leg of her 'Radioactive' tour and now Iggy has signed a deal with Mercury Records in the UK! 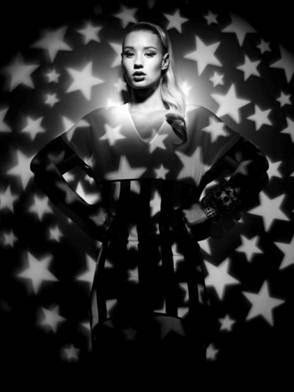 Iggy Azalea had a great 2011 and 2012 after she released her mixtape 'Ignorant Art' and her 6-track-EP 'Glory', as well her third mixtape 'Trap Gold'. With her debut studio album 'The New Classic' dropping in the Spring, Iggy Azalea plans on releasing her first official UK release 'Work' on April 8. In March Iggy will be hitting the road with legendary rap star, Nas on the European leg of his tour. Already having sold out headline shows across the US and Europe, Iggy is set to take her live show to the next level armed with her signature crisp flow, unrelenting energy, attitude and confidence that excels her years. Check out the tour dates below and her new single 'Work' out April 8. "No money, no family, 16 in the middle of Miami."